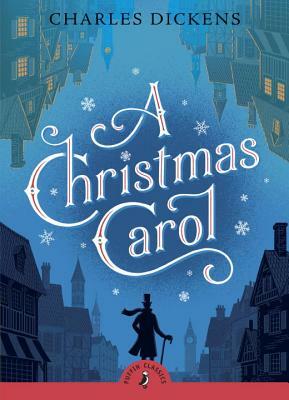 A Christmas Carol is one of Charles Dickens' most loved books - a true classic and a Christmas time must-read. Ebenezer Scrooge is a mean, miserable, bitter old man with no friends. One cold Christmas Eve, three ghosts take him on a scary journey to show him the error of his nasty ways. By visiting his past, present and future, Scrooge learns to love Christmas and the people all around him. With a light-hearted introduction by bestselling author Anthony Horowitz, creator of the highly successful Alex Rider novels, most recently Snakehead. Charles Dickens (1812-70) is one of the most recognized celebrities of English literature. His imagination, wit, mastery of the language and huge creative output single him out as one of the few people who genuinely deserve to be called genius. He had a poverty-stricken childhood and was determined to improve himself. By his early twenties he found a job as a parliamentary reporter and in his spare time wrote sketches of London life for newspapers and magazines. The publication of Pickwick Papers (1836) brought him the fame and fortune he craved. He wrote many other famous books including Oliver Twist, Great Expectations and A Tale of Two Cities.